Your creations are wonderful, and your model, I am in love! Love your coloring and your sweet new pup! 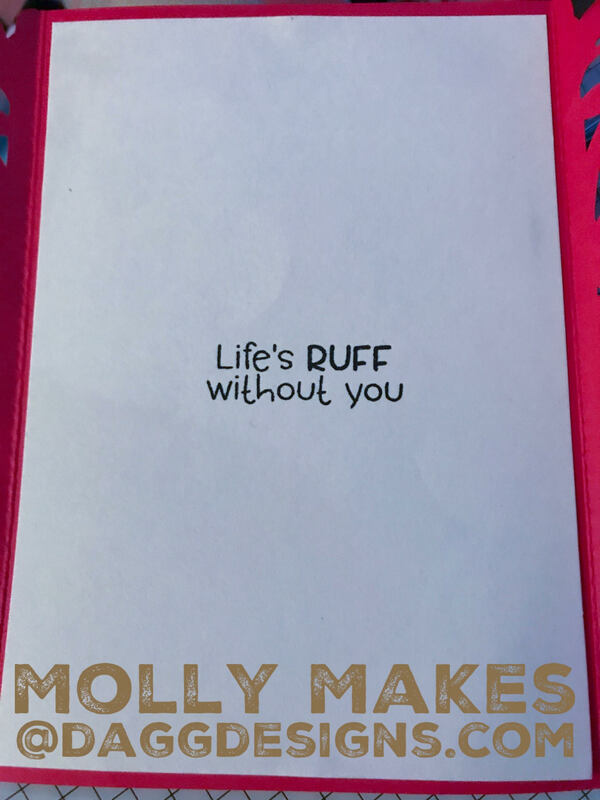 Super cute cards and card model! 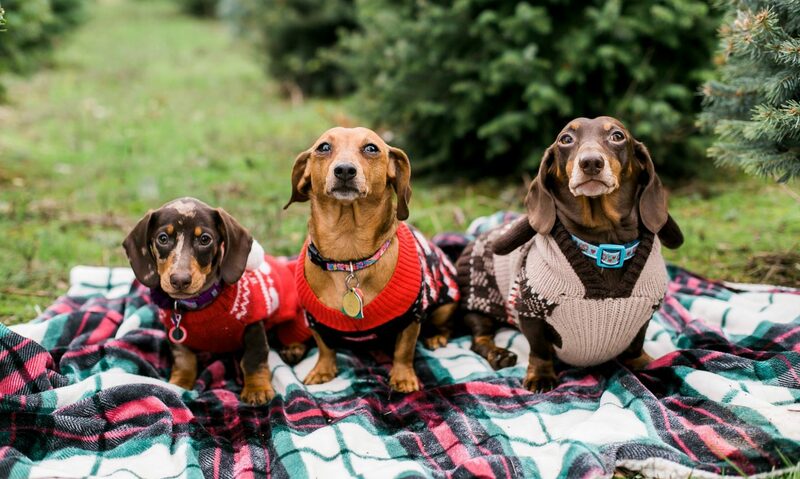 Love your cards — and your pup! Love these stamps and your creations! Can’t wait to get my hands on them! Very cute. I love how your “mistake” on his snout became an opportunity. He is from the streets. I really like how the puppy images turned out! And I think the tan for the pasta is perfect. If you’d colored it completely red, it wouldn’t be realistic since no noodle is ever completely covered in sauce. Don’t second guess yourself so much! AAWW those puppies are so cute! 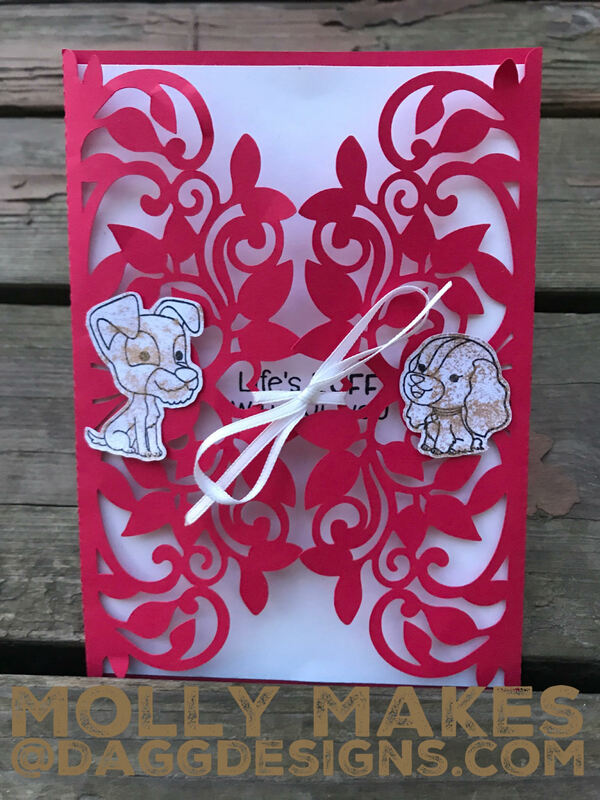 I really like how you did the Puppy Love & the cutout card is fantastic! You have one adorable model! The card and this stamp set are too cute. Ahhh so cute. Your choices in papers work so well with this set. 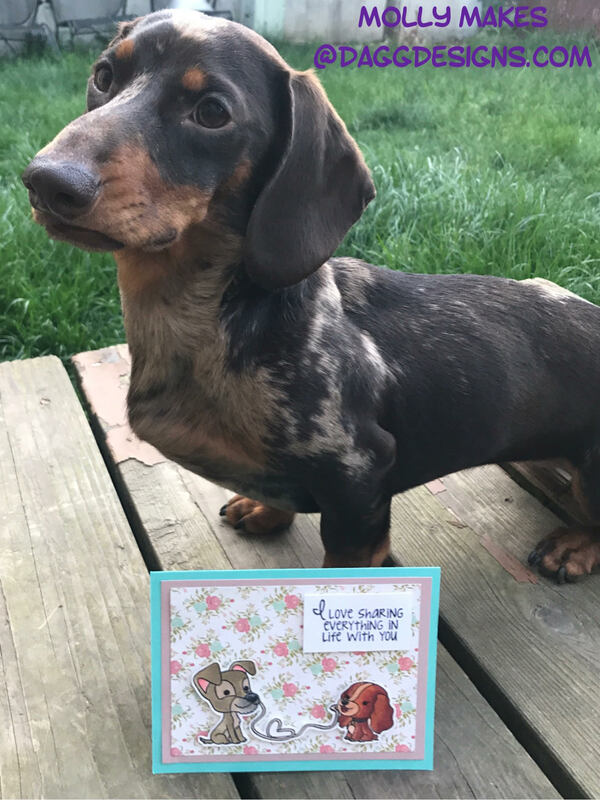 Your puppy is soo cute and so is your card. I love that she held it for you. Lady is SO cute! 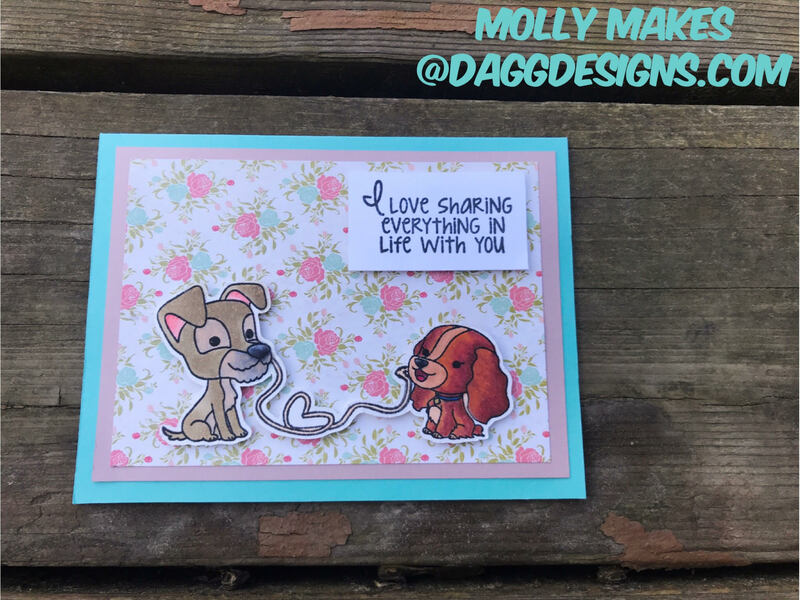 The stamp set Puppy Love is cute, but looks even cuter with Lady!! I think out of all the sets this is my highest priority to get. I own a Cavalier and the one stamp would be PERFECT. I love the puppy stamps, but love your pup even more! Oh my goodness, Lady is just SO precious! 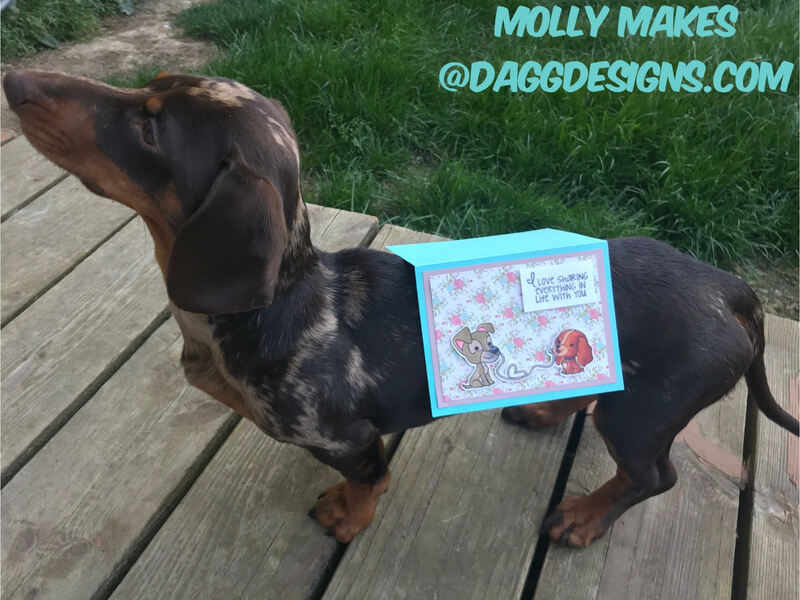 And she makes the best model for your cards!